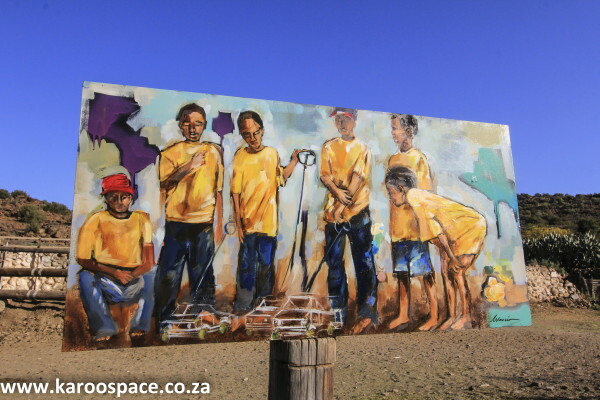 The Karoo Space Annual Report of Shiny Things has become a regular at the Schreiner Karoo Writers’ Festival in Cradock, held in the dead of winter every year. Jules and I rig up our loaded laptop to the Vic Hotel projector on the Saturday night of the festival. With the help of manager Lisa Ker and her tech-minded husband Dave, we manage to line the images up onto the projector screen. 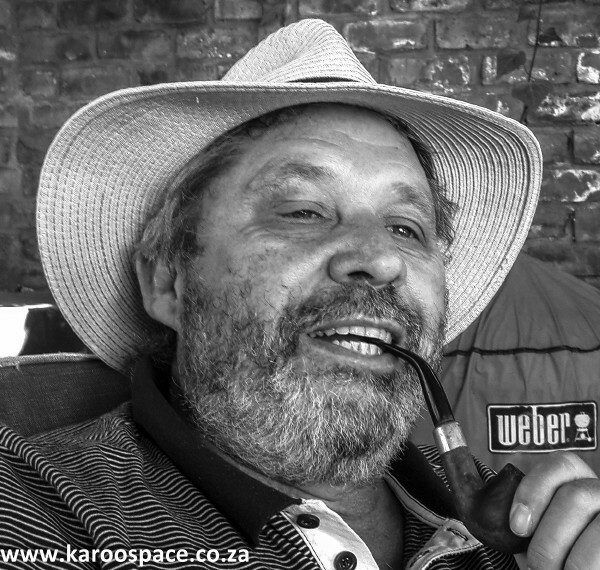 Jurie Taljaard read passages from Knapsak vol Karoo. Then we settle the crowd of festinos with a welcoming word and launch into a slide show covering the last year’s wanderings through the Karoo. It’s completely visual, accompanied by a “workshop of words” between Jules, me and members of the audience who are invited to chip in with comments of their own, from time to time. This year, however, we took a bit of a chance. 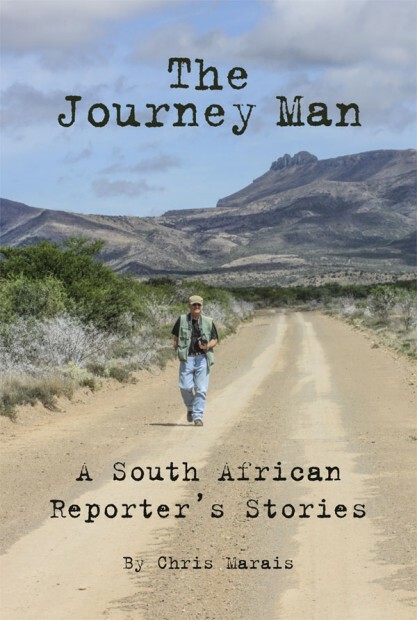 My new book of reporter’s stories, The Journey Man, was being launched. Lots of my mates had pre-ordered this rather informal selection of journo pub tales, but the book had not yet really seen the light of day. OK, OK. So Gordon Wright (Graaff-Reinet’s celebrity chef), Llewellyn Kriel (one of the characters in the book), Lisa Ker (she was given the First Book of the First Pressing), Ryno Ferreira (a Karoo road trip companion and good friend), the Schulzes (neighbours, fellow Shepherd-owners, best mates and braai partners), Sandra Antrobus (Tuishuise owner and friend who normally gets the First Book), Alan and Annabelle Hobson (Karoo Heartland mates from Somerset East), they all received preview copies. The wire car crafters of Philipstown featured in the presentation. Those guys had all seen The Journey Man. But no one else. So on Saturday night, July 25, I stood up and read a passage to the crowd from The Journey Man. It was a chapter called “Dances with Wolwe” and it involved a Scope Magazine assignment full of tequila, right wingers, tear gas and trouble in the old Pietersburg Town Hall back in the mid-1980s. Part of The Journey Man cast of characters – the old-time journos of the 1970s. I think, however, it went down well. And then it was followed by a reading by our friend Jurie Taljaard from Knapsak vol Karoo I, Melina Smit’s lovely translation of our Karoo Keepsakes I.
Jurie brought us all back to the Heartland, with his deep Kristofferson tones, weighted punchlines and down-home manner. Priceless. We then took this little three-part gig into the final stage of pure slideshow, and it was our privilege to introduce the audience to the faces and places that we have met with and travelled to over the past year. The legendary Monty Gadd equestrian event at the Cradock Show featured in the Karoo Space presentation. 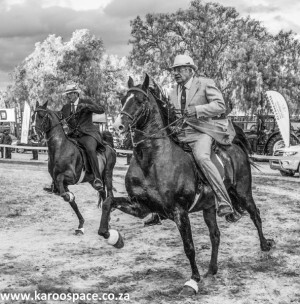 Jules and I take special pleasure in presenting the Karoo Space Annual Report of Shiny Things because it’s like introducing a bunch of good guys to another bunch of good guys and seeing the flow of positive energy right there. It was a great evening all round. 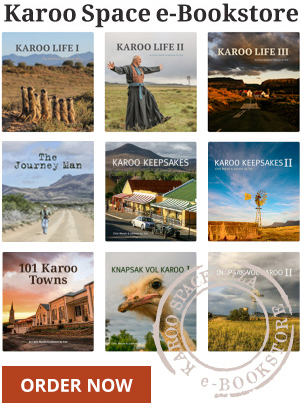 And now we’re working on Karoo travels to come over the next 12 months. All in all, I’m quite pleased my days of tear gas and tequila are over. It’s a young man’s life. The Journey Man shop is open! For the Print Version, go HERE The Ebook version can be found HERE.